Essays and social commentary on parenting, travel, politics, history, sports and more. The thoughts and experiences of several CEO dads regarding work-family balance are detailed in a new article posted to TIME. I agree with Weinberger, who told TIME about turning down the chance to take photos on top of the Great Wall of China after a recent speech because he had to board a plane to get back to the U.S. for his daughter’s driving test the next day. Weinberger added that he received many emails after that speech, all of which praised his commitment to fatherhood. I am drawn to a story like this one, as well as the one I wrote last month for TODAY Parents about CEO Max Schireson reducing his work duties to be more “there” for his kids. The idea that millionaire men who are responsible for the growth and well-being of billion-dollar companies want the world to know they are engaged fathers resonates with me. No, these guys don’t have to worry about paying for food or medical bills. They have the luxury to actually make decisions that will enable them to spend more time being dads, as opposed to working two or three jobs to make ends meet. This is why it’s important to acknowledge these rich men who run these big companies but also are committed to being the best dads they can be. Because the more it becomes the norm for the men and women who are “big” bosses to make the right choices in terms of work-family priorities, the easier it will become for all of us to be “more there” for our kids. I am beginning my second week working out of our home. So far, so good. Last week, the boys seemed pleased to have me home in the afternoons, and I was more than pleased to be here for them. We’re still making the adjustment, and I get the feeling that it will take more than a few days to figure it all out. Then, just as we figure it out, I imagine things will change again. We’ll adjust to that, too. For now, I’ll meet them at the bus stop, get them settled into a routine that includes an afternoon snack and homework (not necessarily in that order) and juggle the responsibilities of writing and maintaining the household. I’m no CEO, but this will do. 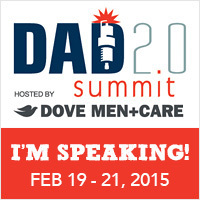 At Dad 2.0 Summit in New Orleans this past February. From left: me, Chris Read of Canadian Dad; Kevin McKeever of Always Home and Uncool; Whit Honea of the Internet. I spent an hour Tuesday rambling about baseball, storytelling and other things on Chris’ Creative Minds podcast. One of the best things about publishing this online … whatever it is … journal, I guess … is the chance to develop friendships with people all over the world. One of my favorites is Chris Read of Canadian Dad. Chris was kind enough to feature DadScribe on his Dad Blogs Exposed series about a year ago. And Tuesday, he was kind enough (again) to invite me to join him for an hour-long conversation on the Creative Minds podcast he produces with fellow Canadian Mike Reynolds of Puzzling Posts. Mike was out Tuesday attending to under-the-weather family members (get well soon, Mike’s family! ), so it was just me and Chris. Chris indulged my rambling about baseball writing and storytelling and parenting and other topics, and I enjoyed every minute. We name-dropped a few of our favorite fellow online writers and I made a few lame attempts at jokes about how Canadians occasionally add a “u” after an “o” in inappropriate places. It was a good time, and I hope you get the chance to listen. Here is the link to the podcast, which is also available through subscription on iTunes. Thank you again, Chris and Mike, for the invitation. I’d love to do it again sometime. 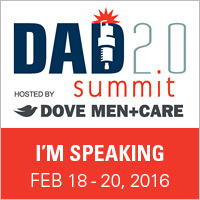 Oren Miller, founder of a Facebook dad bloggers group almost 800 strong. He and his family need our help. Now is the time to act. They were in the car together, Beth behind the wheel, husband Oren Miller by her side. This was life now. A trip to Johns Hopkins for radiation treatment, a necessary precursor to deal with a cancerous invader in Oren’s brain before the rest of it could be dealt with. The rest of it is stage 4 lung cancer, which has spread and is life threatening. Very life threatening. But that would have to keep. First, the brain. Oren’s phone rang. It was me. My editor at TODAY Parents had agreed to let me write it up live. 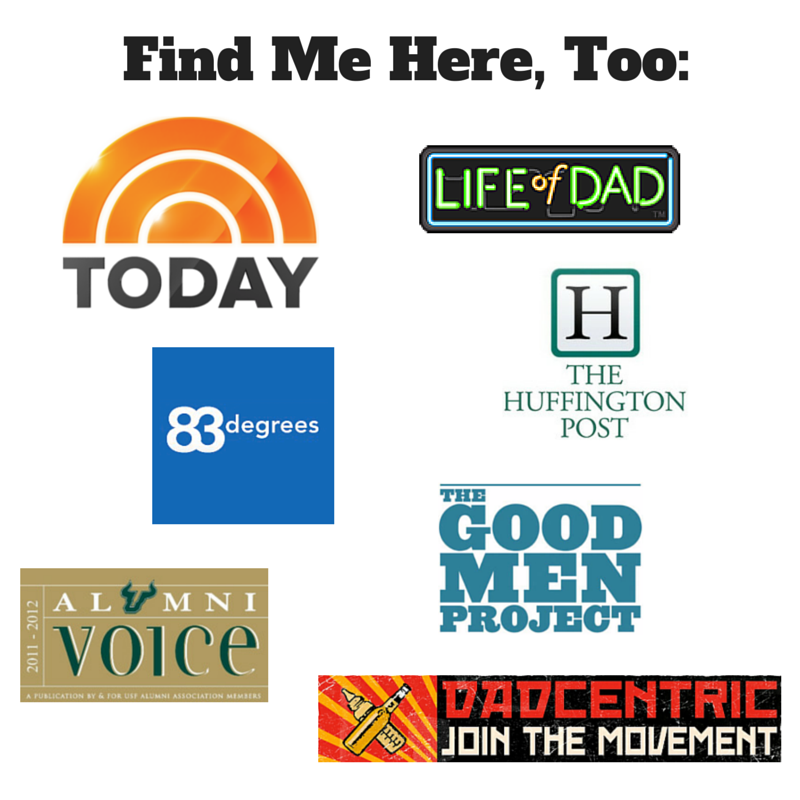 When a group of dad bloggers get together to make something this big happen, it’s news. Especially on the Friday before Father’s Day. What was so big that the parenting arm of the TODAY Show immediately responded in the affirmative to my inquiry that afternoon? The fundraiser, of course. Using the wonderful Give Forward platform, Oren’s fellow blogger and Marylander, Brent Almond, had set up an online fundraiser on behalf of the Facebook dad bloggers. This group, this extended family of fathers and writers from all over the world, would do our small part to help Oren’s family. L-R: Oren Miller, his wife Beth and friend and fellow blogger Brent Almond, together on Memorial Day weekend — hours before Oren’s cancer diagnosis. The idea was to raise as much as we could to help them enjoy a nice vacation getaway before Oren began his treatment in earnest. We figured $5,000 was a nice, round target. Brent posted the link to the fundraiser late Thursday evening. By Friday morning, the amount raised had slid right on past $5,000 and was bearing down on $10,000 before noon. When it reached $13,000, I emailed my TODAY Parents editors and told them news was happening. Important news. News that illustrated the strength and power of these things that bind us in that Facebook group. Fatherhood. The creative impulse. Passion for our roles as caregivers, and compassion for others. It had to be shared, this wonderful story that arose from such a terrible thing. I say terrible, because that’s what it was. And is. Yet, Oren’s grace and dignity in the face of this awful circumstance moved thousands (here it is in his words, powerful words, words that will make you cry and wonder at the strength of this gentle father and caring husband). That Friday afternoon, as Beth and Oren wheeled their way toward Johns Hopkins for his radiation treatment, I reached back into my professional past and tried to wear my journalist hat for an interview session. We chatted, he and I. He sounded tired, of course, but all I heard was music in that thick Israeli accent of his. His responses to my forced and awkward questions were as graceful as you would expect, if you know him. The fundraiser goes on. The goal has been increased to $30,000, and as of this writing, we’re past $26,000. It’s more than a vacation fund now. It’s money they can use for medical bills or any other needs that will arise as they fight this. The founders of Give Forward have generously agreed to donate $25 for every post the dad bloggers publish (up to 40 posts), an additional $1,000. Click here to donate, if you like, or simply to leave Oren and his family a message of love and hope. There is no moral here. No feel-good story, no happy ending. Not really. There is something, though, and it’s this: We can do good in this world when we act together out of compassion and love. What else is there?